Back when we covered Diffbot, the visual AI-enhanced machine-learning crawler, we also mentioned they have libraries for a wide array of programming languages, but those are often less than cutting edge – with so many to keep an eye on, there’s bound to be a few bad apples that slip through the cracks. 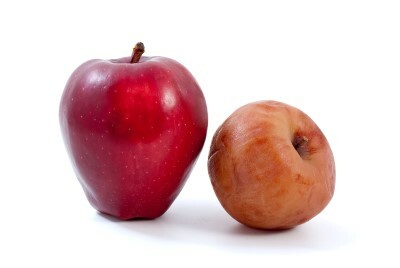 One such apple is their PHP library, and we’ll be building an alternative in this series, in an effort to do it better. Note that this tutorial will focus on writing a good package – the code we write will be real and production-ready, but you shouldn’t focus too much on Diffbot itself. Diffbot’s API is simple enough and Guzzle’s interface is smooth enough to just consume it outright without the need for a PHP library anyway. Rather, pay attention to the approaches we use to develop a high quality PHP package, so you can reuse them in your own project. Diffbot was selected as the subject of the package because I’d like to demonstrate best practices on a real world example, rather than yet another “Acme” package. For a more detailed reading of these and more rules, see here. OK, after getting into the VM, let’s start hacking away. To hit the ground running, we’ll use the League Skeleton, which is a template package with League rules embedded, allowing for a head start. I’ve made my own fork with a better .gitignore and some minor tweaks if you’d like to use that – if not, just use theirs, the difference is truly trivial. We set some common meta data, define the requirements, and set up PSR-4 autoloading. This, along with the fact that we’re using the League Skeleton, takes care of points 1-6 on our to-do list from above. While we’re here, we can also add Guzzle to our requirements, as it’s the HTTP client library we’ll be using to make all calls to Diffbot API points. Visiting test.app:8000 in the browser should now yield the “It’s working” message. Don’t worry about not having a public directory or anything of the sort – this is not important when building a package. When building a library, all the focus should be on the package, and only on the package – no need to deal with frameworks or MVC. We’ll use the index.php file for testing some stuff out from time to time, but mostly, we’ll be using PHPUnit to develop our library. For now, let’s add index.php to .gitignore to make sure we don’t accidentally send it upstream. To keep in sync with modern standards, we’d do best to implement PSR-2 from the get-go. I use PhpStorm, so this is dead easy to do. You can either choose the built-in PSR1/PSR2 standards, like so, or you can install and activate CodeSniffer and use it as a PhpStorm inspection, like so. I opted for the former, because remote execution of PHPCS via PhpStorm is not yet supported (and a Vagrant VM is, for all intents and purposes, remote), but if you’d like to help out with adding this feature to PhpStorm, please vote here. You can also opt to only install PHP on your host machine (as opposed to additional nonsense that comes with a standard XAMPP/WAMP installation), download CodeSniffer there, and use it like that. You’d use your host machine only for code inspection, while developing and running your package logic from the VM. It’s a bit awkward, but helps when using IDEs like PhpStorm, at least until the aforementioned issue is implemented. If you’re not using PhpStorm, look for alternatives on how to accomplish this, but make sure you do – we need PSR2. With our bootstrapping out of the way, we can start developing. Let’s think about everything we need. The former approach helps when you’re creating a single API client instance, or you’re using several tokens (maybe you have one for Crawlbot, and one for regular APIs). The latter approach works well when you’ve defined many API endpoints for your application to consume and will be needing several, but don’t want to re-inject the token every time. With that in mind, let’s go ahead and make our package’s first class. Create the file src/Diffbot.php. Let’s quickly explain the Diffbot class. The token static property will serve as the default which Diffbot will use if no token is provided in the constructor while building a new instance. In that case, it gets copied into the instanceToken property which is bound to instances. The constructor checks if a token was passed. If it wasn’t, it uses the predefined default token, or throws a DiffbotException if none was set – that’s what our Exception code above was for. If the token is OK, it gets set as the token of the instance. On the other hand, if the token was passed in, then that one gets copied into instanceToken. Note that in both cases, the token must be validated with the validateToken static method. This private method for now simply checks if the token is a string of a length of more than three characters – if not, it throws an invalid argument exception. Finally, there’s the setToken static method, which lets us set the aforementioned global token. Naturally, this one needs to get validated, too. Seeing as a Diffbot token is bound to its set of APIs, being able to change a token on an already existing instance of Diffbot would be crazy. As such, I’ve opted to allow the setting of a token only on instantiation, or globally for all future instances of Diffbot. Of course, if the token gets set globally, an instance can still override this setting. Also, the global token is mutable, because we want to be able to change the spawning condition of future instances, and changing it when instances already exist doesn’t affect them in any way. Notice also how everything is documented with docblocks – not overdocumented, but just enough to make it easy to understand for everyone else coming in. In this part, we got started with PHP package development by setting up a skeleton project with some basic functionality, and by configuring our environment. You can download the end result of part 1 here. In part 2, we’ll start writing some tests and some actual functionality, and we’ll get started with proper test driven development. Before we move on, are there any questions or comments regarding the current process? Leave them below! Yes, I've talked about this with League, and they were actually surprised at my Git setup. I'm a bit particular in regards to that in that I don't have a global Git - I use Git from within the VM exclusively. This makes sure my entire setup is in the VM and the VM alone, making it 100% portable to any and all machines I come in contact with. I know most people don't work that way, but it works wonders for me. Thanks for the feedback! Thats another thing i've been wondering about: why work inside the VM like that? With tech like docker (which I personally use extensively, even inside PHPstorm) i have the very best of performance and still have a clean development machine. I have to agree about using a VM on Windows. Someone much smarter than me also pointed me to PuPHPet, Vagrant and Virtualbox and wow, what a difference. I will never go back to using Windows for the server environment again. I will never go back to using Windows for the server environment again. I can't even imagine myself developing on bare Windows any more, no matter how many packages exist to make things simpler. Vagrant has drastically changed the way I develop.